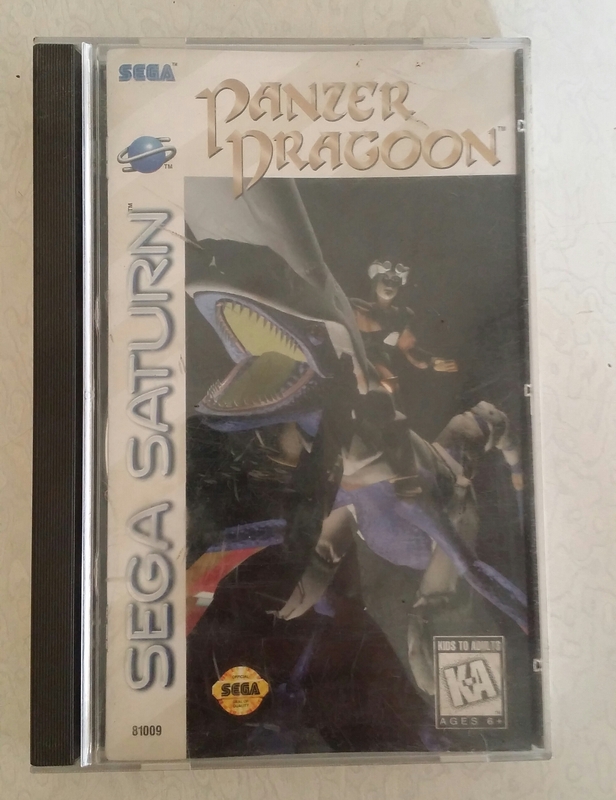 I was able to get my hands on Panzer Dragoon about a month ago. One of my workers (magbobote) brought a Sega Saturn unit and a couple of games to sell to my junkshop. I asked him were he found it and he said that he found it in one of the trash heaps near our area it was in an old carton box. 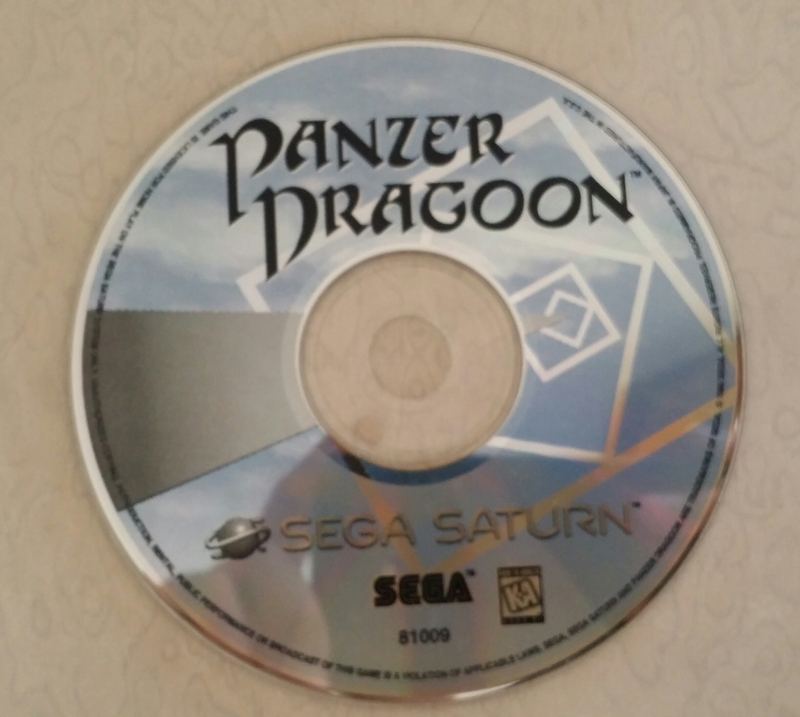 One of the games was Panzer Dragoon. At first I did not have any idea what this game is because I was not able to play on any Sega Saturn unit when I was still a kid. I just inspected if the game cd was still in good condition. There were some light scratches but other than that it was still in good condition and it even still has its box and insert. I did a little bit of research regarding this game and I found quite a bit of information regarding this game. 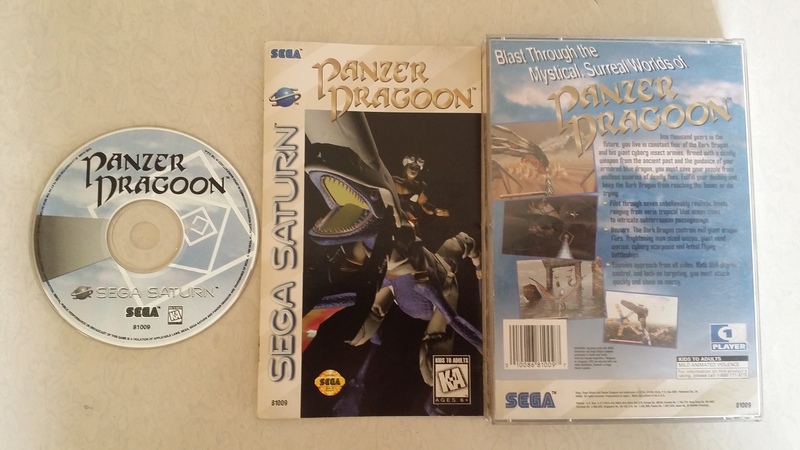 Panzer Dragoon was developed by Team Andromeda for Sega and it was first released for the Sega Saturn unit. My copy is the US version and it was released on May 11, 1995. It is a rail shooter type of game. 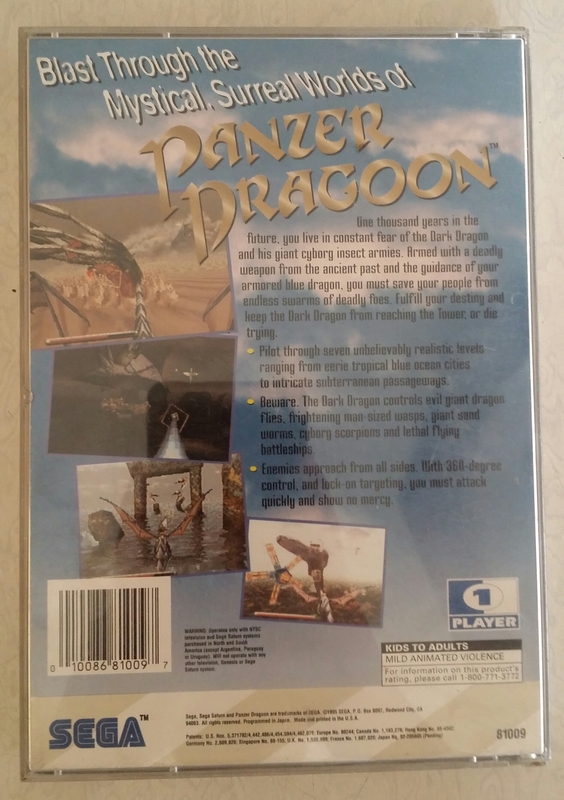 The US version of Panzer Dragoon was also one of the sox surprise games that was released by Sega in North America. It also showed what the 32-bit system of Sega Saturn can do. Panzer Dragoon is a type of game wherein you have no control of where you unit or character is going. Its movements is predetermined, but you are given a 360 degree view and you can shoot enemies everywhere. It has six levels and at each end you will be able to fight a boss. Panzer Dragoon features a young hero named Keil Fluge (he is unnamed in my version) he is a member of a hunting party that witnessed a fight between two dragons. A blue dragon named Solo Wing and a black dragon named Dark Dragon. The warrior of the blue dragon was mortally wounded and he entrusts his mission to Keil to stop the Dark Dragon from reactivating an ancient rune.